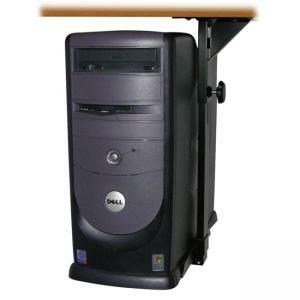 CPU holder saves valuable desktop space by securely mounting CPU vertically or horizontally on underside of workstation. 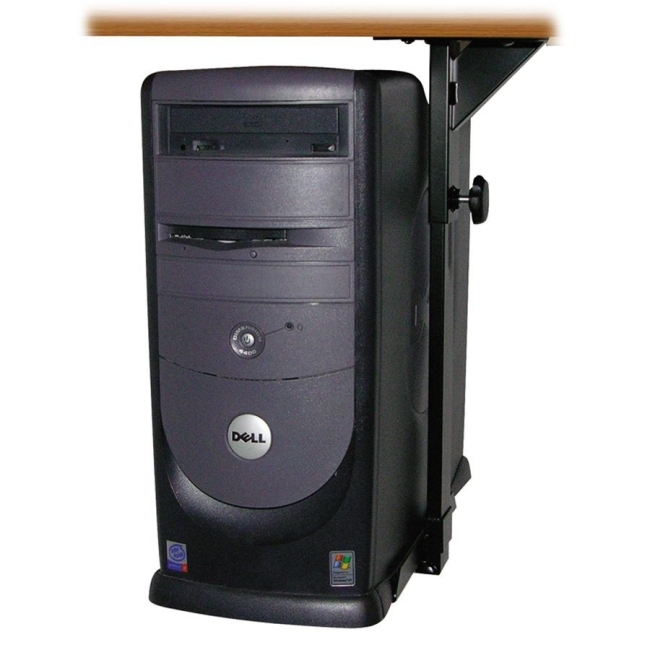 Design keeps CPU at comfortable height to provide access to disk drives and cable connections. With the horizontal setup, the width adjusts 13-1/8" to 25-3/4", and the height adjusts 5-5/16" to 9-13/16". With the vertical setup, the width adjusts 5-1/4" to 9-13/16" and the height adjusts 13-1/8" to 17-15/16". CPU holder offers durable steel construction for sturdy support.